Hello Everyone! Hope you are all having a fantastic 2014 so far. Is it just me or does it already seem like it's going too fast? This is now my 100th blog post! That is absolutely crazy! I have also received over 150 blog loving followers. Thank you so much to everyone who follows and takes the time to read my blog. It really does mean a lot! I check out everyone's blog who follows me and I also reply to every single blog comment within 24 hours so let's talk in the comments. Anyway, I won't make this introduction too long but as you can see from the title and the photos above I am going to talk to you about the products and a few randoms that I was loving throughout 2013 and I am expecting it to be quite a lengthy post, so better get started! Before I get started though I have already done reviews to I'm pretty sure every single one of these products, so I will link them as I speak about them. Make sure to click them if you'd like to know more. 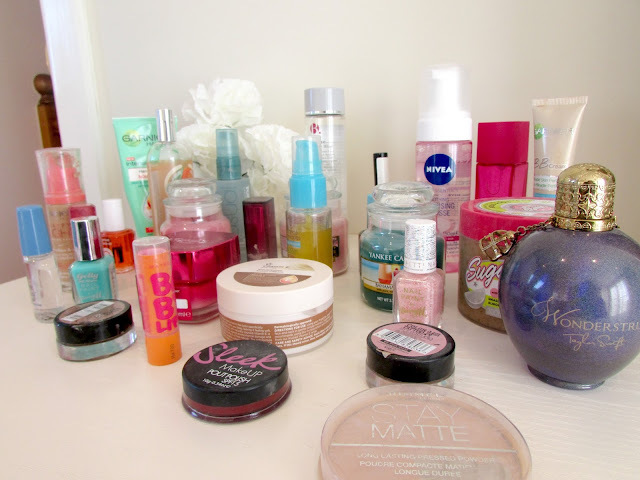 So as you all know 2013 was the year I started blogging, which meant buying more beauty products to try and I fell in love with a good few, however these are my top favorites. Bourjois introduced the Happy Light Foundation in 2013 and I absolutely loved it. It gives perfect coverage for my skin, leaves my skin healthy and glowing with no added shimmer and I absolutely love how silky smooth the texture is! The Maybelline Color Sensation Lipsticks in 'Stellar Pink' was also a new discovery. I absolutely love this lipstick. It's such a stunning color that will work all year round and the formula is quite buttery, soft, and moisturizing on application and it's extremely long lasting too! I find the exact same with the Revlon Lip Butters, however the lip butters feel more like a lip balm than an actual lip stick! 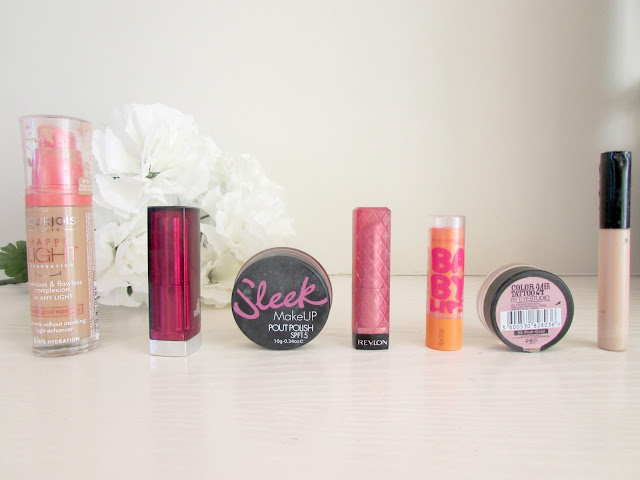 The Sleek Pout Polish and Maybelline Babylips are now officially staple products. Such gorgeous lip products that nourish and protect your lips, all whilst giving it a gorgeous tint of color! The baby lips even contain SPF for that added protection! The Maybelline Color Tattoo eye shadows were also a new discovery for me. They are so creamy and pigmented and you can wear them on their own as well. My last beauty favorite of 2013, and I'm sure you are all fed up of seeing, hearing and reading about this item is the Collection Lasting Perfection Concealer. Amazing coverage, blends incredibly well, lasts all day, brightens up my under eye area and conceals spots brilliantly. I'm probably one of those beauty bloggers who actually prefers her skin care over her make up. I just think that without a perfect canvas our make up would look incredibly horrible and wouldn't sit right. So I absolutely love taking care of my skin. The first skin care product I've been loving was actually bought a couple of months ago and is the Nivea Soothing Cleansing Mousse. I love this cleanser as it is so easy to use, cleanses and removes all make up off my skin, leaves it soft, refreshes the skin and also smooths the skin down. Such an amazing product for the drugstore! My next favorite is the Garnier Hand Cream which I know is pretty boring but I absolutely need hand cream all year round! The one thing I absolutely love about this cream, other than the fact it contains Mango Oil, is that you don't need to moisturize your hands for at least a week after this is applied as it leaves them feeling so soft and hydrated! It also doesn't leave your hands feeling greasy or sticky either. My next favorite was a product I discovered in late November. I desperately needed a new moisturizer/base for my foundation and I spotted the Loreal Paris Skin Perfection Moisturizer. It had £5 when I bought it, so obviously I couldn't refuse and it is incredible. It makes my pores a lot less visible, improves the texture of my skin and provides the perfect base for my foundation. My next favorite is the Vitamin E night cream which is an extremely simple product. I apply it before bed and it just makes my skin feeling incredible soft and moisturized the next morning when I wake up. 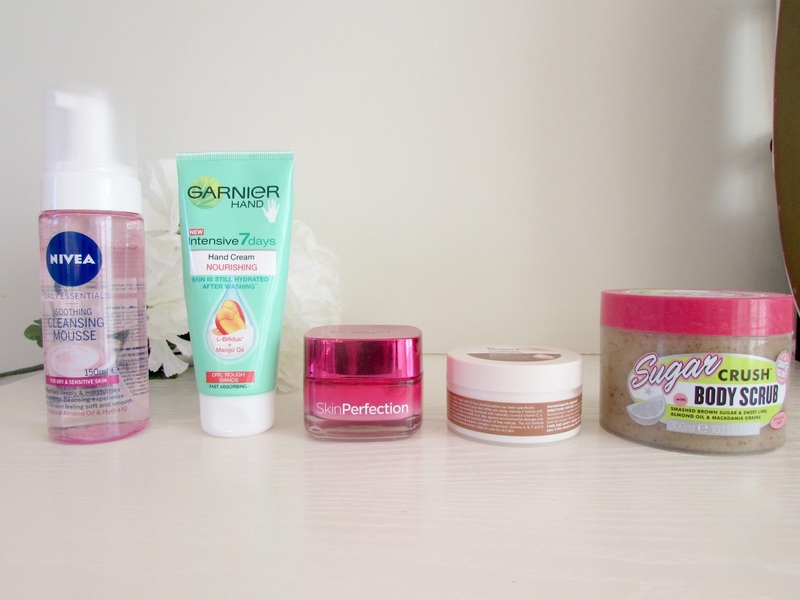 My last skin care favorite is an all over body product and is the Sugar Crush body scrub. Now I spotted the beautiful Zoella speak about this in her videos at the beginning of last year so I went out and bought it and the smell is just incredible. Think Lime and Brown Sugar! Definitely my favorite soap and glory scent by far. The body scrub gets rid of all the dry bits on your skin and leaves it feeling so smooth and soft too. Perfumes are an absolute essential for me. I absolutely need to leave the house wearing perfume, and feel really vile if I don't. Just me? 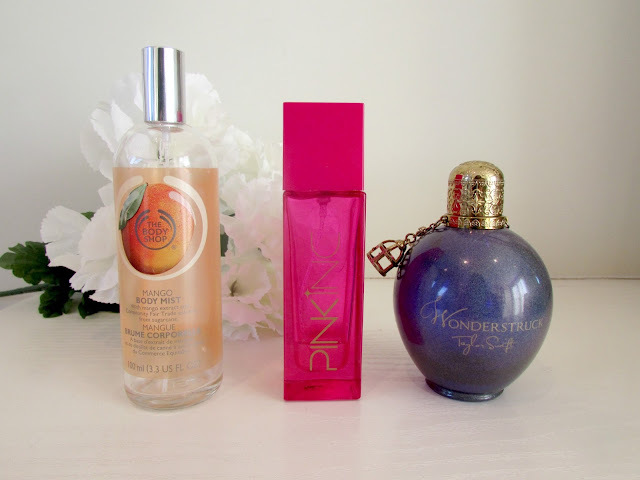 These are the three scents I have been loving in 2013. The first is the Mango Body Mist from The Body Shop. This is such a sweet and absolutely amazing scent. I love it, I know it could be quite sickly and overpowering for some people but it's perfect for me. I actually think it's the perfect Spring/Summer scent. As Spring is only a few months away now definitely stock up before they sell out as these are pretty popular! My next favorite is a perfume I bought shortly before Christmas which is the Pink Inc perfume. I absolutely love the scent of this and been wearing it so much that it's almost all gone! This perfume contains notes of musk, wild raspberry, wild jasmine, and vanilla which adds such a nice base to the whole scent. It's a very uplifting scent! My final perfume favorite is by my absolute favorite female singer, Taylor Swift and is her Wonderstruck Perfume. I mainly bought this perfume because of the name of the scent. 'Wonderstruck' is a lyric in my favorite song by her so I just couldn't resist. The perfume contains notes of raspberry, vanilla and apple blossom scents. Again very sweet but incredibly gorgeous. It's also a very versatile scent and can be used in the evenings or day times! 2014 will be the year I start using more hair care products as I really do not use a lot. However throughout 2013 I came across these two little gems and fell in love. 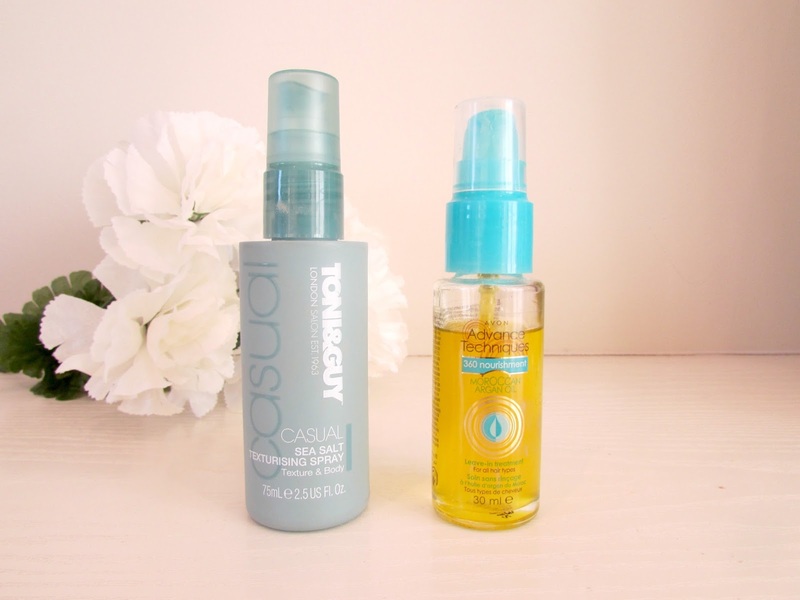 The Toni and Guy Sea Salt Texturizing Spray is absolutely amazing. Adds so much texture and volume to your hair, which is amazing when you add waves or curls to it! The Avon Advance Moroccan Oil is also amazing. It makes my hair look incredibly healthy and shiny and makes it a lot more manageable too. Moroccan Oil was highly rated within the beauty community in 2013 so if you haven't yet tried it I'd highly recommend this one from Avon. Nail Polish was my weakness in 2013. I bought so much I don't even have enough storage to fit it all in now! As you all know I fell in love with the Gelly Hi Shine Nail Polishes from Barry M. They are so glossy, last for a long time and do not chip. They are also extremely fast driers, I have found anyway, I have read reviews that have said otherwise but for me they are amazing. I also bought this cuticle oil from Essie back near the beginning of 2013 and I absolutely love it. I just apply it to my cuticle area and massage it and and it makes that area look a lot more healthy. The Sally Hansen Double Duty polish isn't actually something I purchased myself, my cousin actually bought it for herself but I borrowed it throughout December and I absolutely love it. It's a 2 in 1 product (base coat and top coat) and this just makes the nail polish last longer and look so much better. If she doesn't take it back to Mauritius with her I might review it so stay tuned! Two other polishes I used was the Confetti Nail Paint from Barry M which was a texture nail polish that you applied to a normal polish to help it look 3D. I loved using this in the Summer! For Christmas I used the Barry M Xmas Range. This blue sparkly polish was actually from Christmas 2012 but I didn't use it that much and it's just so pretty. I love the frosty affect it gave to my nails! I reviewed it HERE if you'd like to check it out. 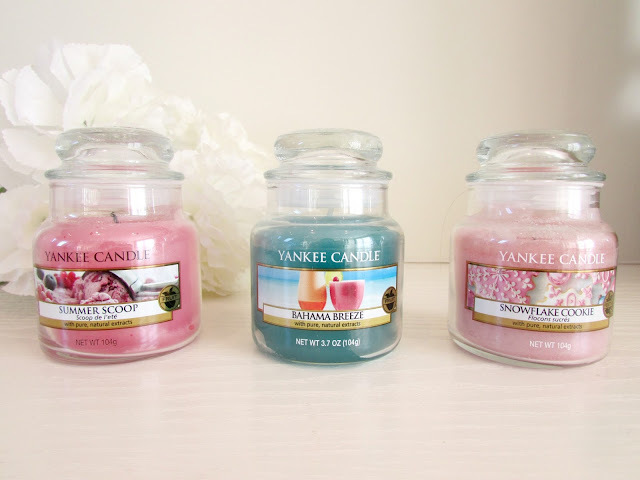 I couldn't do a yearly favorites without including Yankee Candles. I bought quite a few in 2013. My first favorite is the Summer Scoop from the Summer 2013 range. This literally smells like strawberry or really fruity ice cream and was perfect to burn on those cool summer evenings! My next favorite is the Bahama Breeze candle. This smells like fruit cocktails. It smells AMAZING! My last favorite Yankee candle was from the Christmas 2013 collection and is the Snowflake cookie scent I received for Christmas! This literally smells like cookies baking in the oven on a cold winter's evening. I absolutely love it and I don't care if Christmas is over I will probably continue to burn it throughout the entire year as it has become one of my favorite scents! So those are my 2013 favorites! My god, that took so long to write but I'm so glad it's done so you can all see what I loved throughout 2013. It was the year I stepped out of my comfort zone and tried and bought my own lipsticks to try and the year I became more involved with make up. 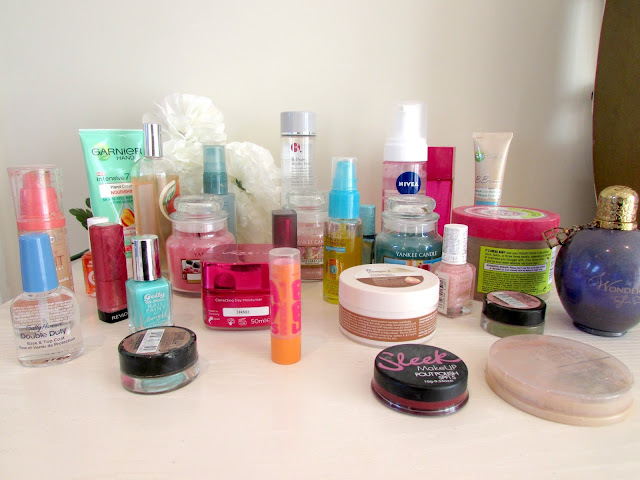 2013 was mainly spent trying drug store products and just being introduced to different skincare and make up brands. Make sure to stay tuned over the next year where I will be trying and reviewing more high end products! I hope you all enjoyed this post and leave a comment below telling me what your favorites during 2013 were! If you have a blog post or video just leave a link below and I will definitely check them all out! Great post! :D Love your style and your blog is very beautiful! Can't say I've tried to products but I do love your choice of yankee candles! Yum yum! I loved reading this post! I want to try out the happy light foundation so bad! It's so good! To be honest all the Bourjois Foundations are! Definitely my favorite drugstore foundations! Of course I'll check out your blog! 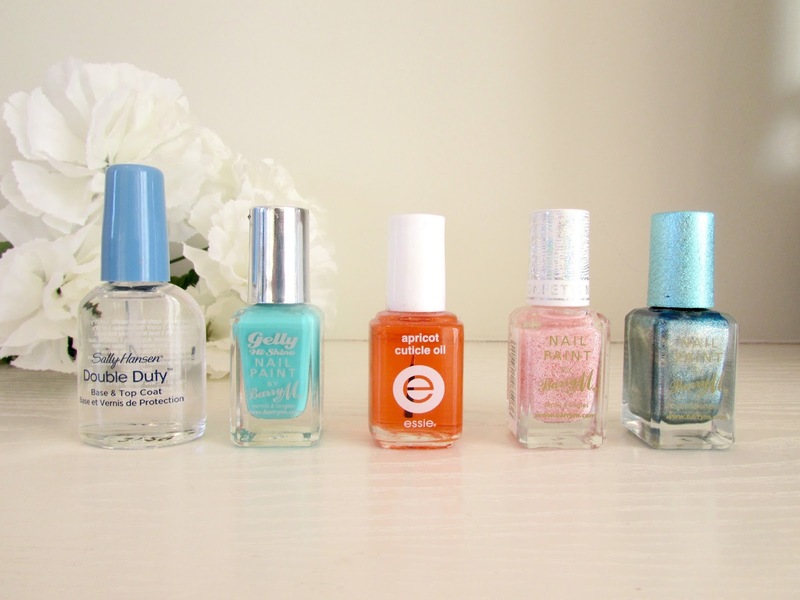 i never hear much about that sally hansen base/top coat in the beauty blogosphere. but i've been using it for years and i love it! great set of favorites! I'm going to review it properly on my blog soon so more people are aware! :) thank you lovely!